 Shane is an experienced leader with over 125 expeditions and seventeen years under his belt. He has led trips for the past twelve years and has also included the remote islands of the south pacific to his travel log. Shane’s objective on any trip is to make sure you have the “Trip of a Lifetime”. 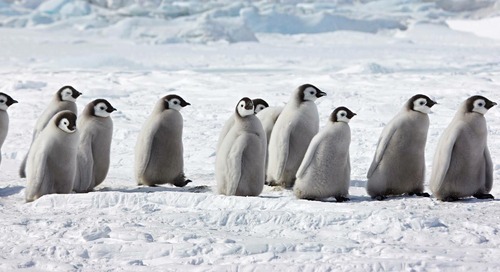 Emperor penguins seen on Antarctic expedition. Photo: Dr. Tom Hart, Penguin Watch. 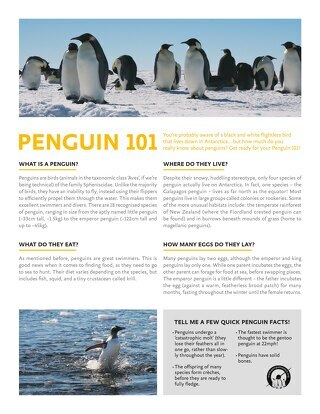 Like the wildly popular March of the Penguins before it, Sir David Attenborough’s critically acclaimed BBC mini-series, Frozen Planet, gave viewers worldwide an unprecedented, never-before-seen glimpse of life in the polar regions. Over the course of nine visually stunning episodes, we were guided on a deep dive into life in the polar regions, as experienced by rarely seen wildlife inhabitants. One of the most fascinating and difficult to reach Antarctic destinations is Snow Hill, a snow-capped island 33km (20 miles) long and 12km (7 miles) wide in Graham Land, off the east coast of the Antarctic Peninsula. 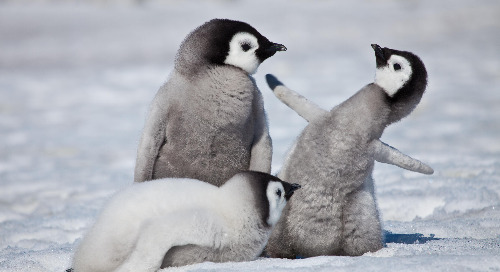 Back in 2004, Quark conducted its first ground visit to this extremely isolated realm of the Emperor penguin, near Snow Hill in the Weddell Sea. Two hundred and sixty-three hectares of sea ice adjacent to the coast have been identified as an Important Bird Area (IBA) by BirdLife International because of this colony. In the 2018.19 Antarctic season, you’ll have four brand new opportunities to visit this exceptional Emperor penguin colony aboard the Kapitan Khlebnikov! Like the BBC and Discovery Channel crews and only a handful of others, you could have the opportunity to witness the spectacle of an Emperor penguin rookery thousands strong in one of the least accessible places on the planet. It was executive producer Alastair Fothergill whose fascination with the polar regions gave rise to the Frozen Planet concept. He and Attenborough had worked together since 1988 at the BBC’s Natural History Unit, the largest wildlife documentary production house in the world. Fothergill left his position as the head of the documentary unit to make The Blue Planet (2001) and Planet Earth (2006), which went on to become the bestselling non-fiction DVD ever produced, worldwide. Fothergill also produced Attenborough’s 1993 miniseries Life in the Freezer, a six-part exploration of the natural history of Antarctica. 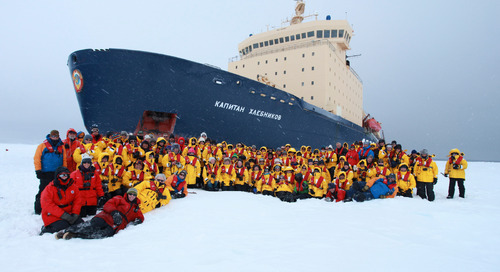 “I had a wonderful season in 2008 working with Quark Expeditions on board their fabulous icebreaker Kapitan Khlebnikov in the Weddell Sea, Ross Sea and sub-Antarctic.” - Sue Flood. The scenery is breathtaking. The last time I was there, this northernmost Emperor penguin colony was nestled into the shore of Snow Hill Island, with icebergs scattered around it. We landed 1.5 nautical miles (2.4km) away from the colony and walked in over the sea ice. The Snow Hill Emperor colony has been hard for researchers to track because they’re transient and won’t stay within range of a motion-sensitive camera. For most people, including our own Scientist-in-Residence Dr. Tom Hart, leader of Oxford University’s Penguin Watch program, the prospect of reaching this mysterious, little-visited colony is one of the most exciting aspects of his upcoming Antarctic travels. 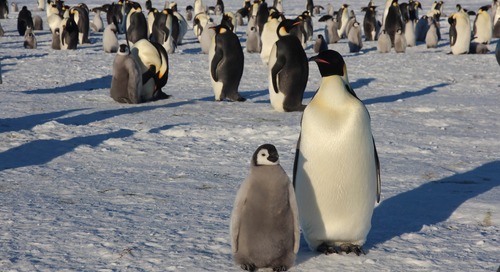 Emperor penguins and chicks near Snow Hill Island on the frozen Weddell Sea. Photo credit: Andy Stringer, Snow Hill Safari expedition (2009). 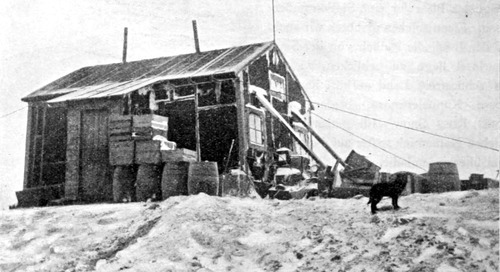 We are always at the whims of the weather in Antarctica, and you should always expect the unexpected—especially when trying to reach a destination as inaccessible as Snow Hill. 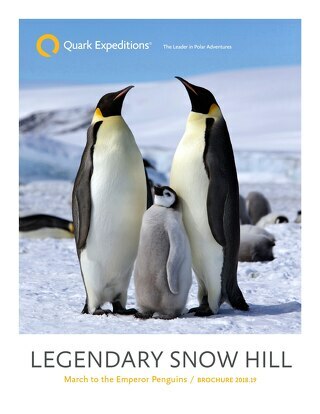 With that said, the return of the Kapitan Khlebnikov and its onboard helicopters gives us the best chance there is to get into that area and visit this fascinating Emperor penguin colony. 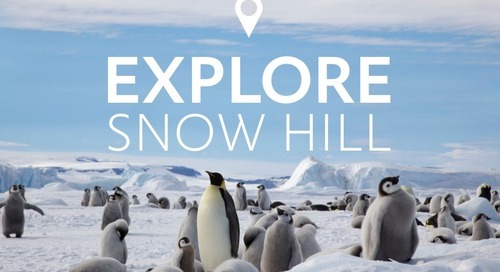 The highly anticipated relaunch of this iconic polar trip guides passengers to witness one of the most captivating and rarely experienced wildlife events in Antarctica. 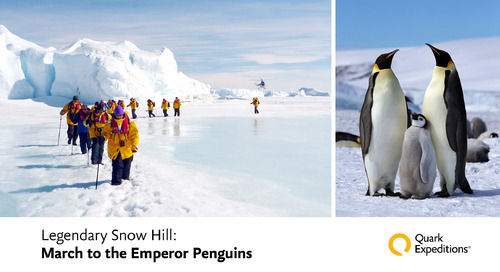 On these four exclusive Legendary Snow Hill: March to the Emperor Penguins voyages in 2018, you’ll crush through ice, then fly high overhead by helicopter before trekking the rest of the way to the rookery on foot. It’s an authentic polar exploration experience that brings you closer to the action than any wildlife documentary ever could.